The Best Franchise in Child Hair Care! 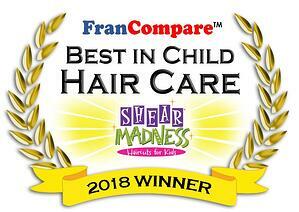 Shear Madness Haircuts for Kids is really proud to have recently been selected as the “winner” of the 2018 FranCompare™ Franchise Recognition Program. 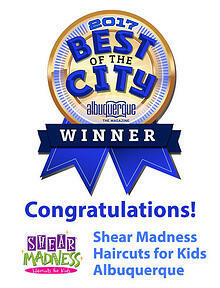 After comparing and weighing over 40 FDD-based data points for four of the major franchise systems in the Child Hair Care industry, Shear Madness Haircuts for Kids received the highest score! 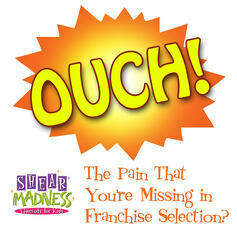 Janon Otto, CEO of Shear Madness Haircuts for Kids, as well as owner of two Shear Madness locations, says that, "We have worked hard to provide services to our franchisees that other franchise systems do not have. We are constantly looking for ways to increase margins, and other opportunities for our franchisees to increase profits. We also have worked hard to provide an internal intranet service that helps not only owners, but all employees to do their jobs better! Our franchisees are wonderful and we all share information that helps everyone get better! Janon also notes that, "Shear Madness Franchising is open with figures from all of our locations, from service sales detail, down to detailed retail sales so that we can all learn from each other and motivate our staff to be the best that they can be within the system! 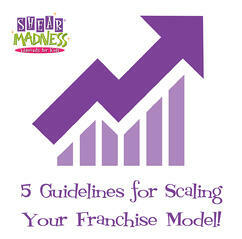 We are never finished with our goal of developing the 'Franchise system by which all others are measured!'" With its extensive product line of books, websites, databases, and consulting services, the World Franchising Network is a preeminent supplier of reliable, up-to-date and easy-to-use information on franchising. The primary focus of FranCompare™ is to determine those franchise systems that have better identifiable performance metrics than their direct competitors. FranCompare™ and the World Franchising Network are also committed to assisting individuals in their quest for self-employment and business ownership. They seek to provide prospective franchisees with the most comprehensive and up-to-date information on the franchise systems we consider the “best” from over 4,000 active North American franchisors. They also feel strongly that the operating and system advantages that franchising offers make it the preferred avenue for 95% of those who want to go into business on their own. Want to learn more? 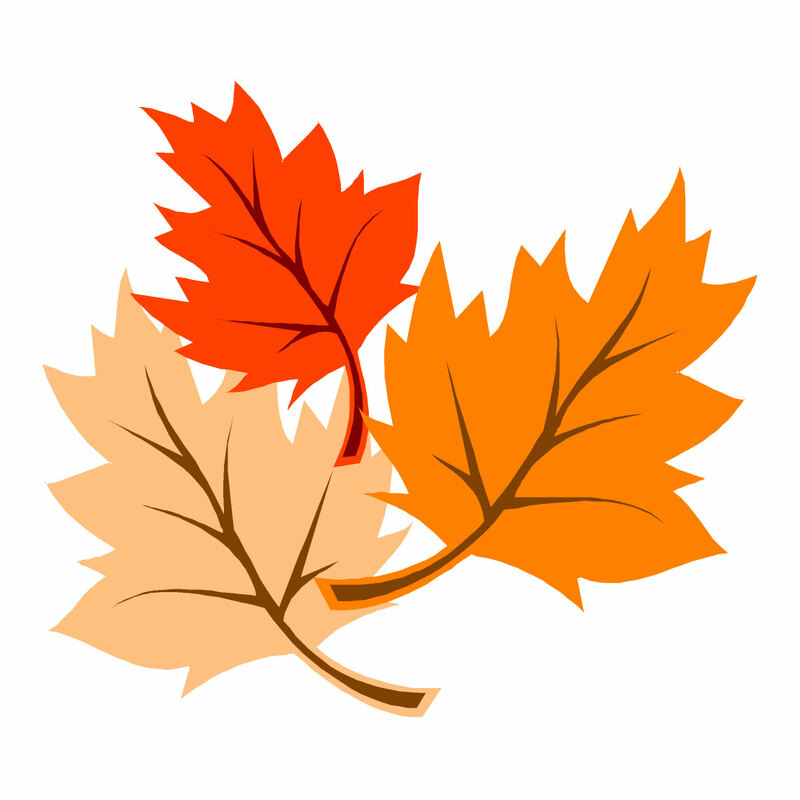 Visit Shear Madness Haircuts for Kids at FranCompare's Child and Youth Related Page.